Local Directions: From Sula, MT head northwest 0.2 miles on Highway 93. Turn northeast on East Fork Rd. (county road #472). Go approximately 10 miles. 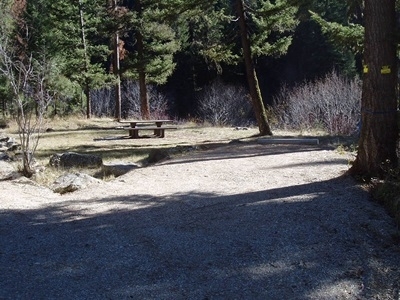 Campground is located on the south side of the road.